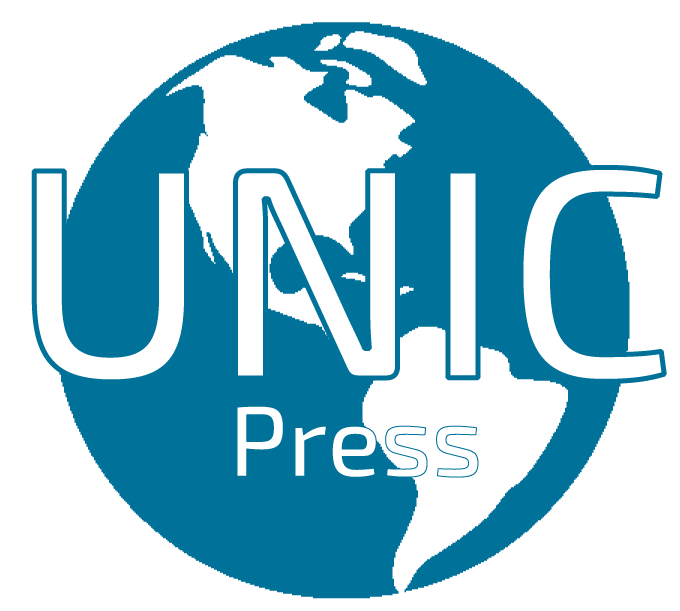 Unic Press UK: Global growth which softened to 3.6 percent in 2018 is projected to further fall to 3.3 percent in 2019, the International Monetary Fund (IMF) Economic Counsellor and the head of the IMF’s Research Department, Gita Gopinath said Wednesday during a press conference. The IMF team during the press conference were the Economic Counsellor and the head of the IMF’s Research Department, Gita Gopinath and the Deputy Director of the IMF’s Research Department, Gian Maria Milesi-Ferretti and the head of the division in charge of the World Economic Outlook in the Research Department, Oya Celasun. Question – As you said, the recovery you are predicting for the global economy is precarious, and there are many risks around. How much ammunition do you think there is left in monetary policy to address the risks if they do come to pass? And how big should any coordinated fiscal stimulus be, which you have mentioned right at the end, again, if it is needed? Ms. Gopinath – Our baseline forecasts are for global growth to recover in 2020, but, indeed, this is precarious, and there are serious downside risks. Monetary policy space varies across countries in the world. For many advanced economies it remains limited, and we would expect to see unconventional monetary policy tools being used, for instance, in the euro area. Now, on the plus side, inflation pressures stay low, so there is a possibility for monetary policy to be even more accommodative. On the fiscal side, again this is going to be very country-specific because it depends upon the fiscal space that countries have. If the downturn turns out to be much more severe than what is in our baseline projection, we would expect a synchronization in fiscal spending because that would be more effective given that it would be better in terms of boosting confidence, and also it would mitigate some of the negative spillovers from imports. But that said, the actual magnitude of that is going to depend on the circumstances and going to depend on the country. Question – Because of this trade war, there was a concern that a currency war could take place, but that did not really happen. Of course, emerging market currencies witnessed some pressure. The Indian rupee depreciated a lot. Do you think in this globally connected world, this currency war situation is a real possibility, or it is losing relevance? Ms. Gopinath – In the early part of 2018, we did see in response to a combination of factors, not just trade tensions but also the increase in oil prices, that several emerging markets faced pressure on their currency. The volatility of the exchange rates will remain in the event of further downside risks being realized. The question of what would be the impact of exchange rates on trade, I think what we have to keep in mind is that exchange rate movements are driven a lot by monetary policy in different countries and driven a lot by financial risks, and so it is very hard to pin down the direction of exchange rates for any of these regions going forward. What we have seen is that with the more accommodative stance in monetary policy in many of the major [central] banks, we have certainly seen emerging market currencies strengthening relative to the US dollar somewhat partially; and as long as things stay relatively stable, that trend might persist. Question – What is your view about Italy, high debt and very, very low growth; and do you think that Italy is a risk factor for the international economy? And the Italian government would be introduced a flat tax in Italian economy. What is your opinion about this? Thank you. Ms. Gopinath – The second half of 2018 was particularly weak for Italy. Italy was in a recession, and that weakness carries over into 2019. The concerns that remain have to do with the high levels of debt, with the high levels of sovereign borrowing costs, banks’ costs of borrowing; and all of this is reflected in weaker investment in Italy. So these are risks to keep in mind, especially given that growth in Italy is weak, not just in real terms but in nominal terms, which means that we are projecting debt as a ratio of GDP to increase in Italy going forward. To your question about the flat tax, we would have to wait to see what the details are about the particular nature of that tax before we can comment on it. Question – I have a question about trade deal. How do you see the US-China trade conflicts impacting the global economy, and if they reach a deal, how do you see the significance to the world economy? Thank you. Ms. Gopinath – The escalation of trade tensions between the US and China was certainly one of the important factors weighing on growth towards the end of 2018. We have certainly seen a truce, and we have certainly seen negotiations going on, and we hope that there will be an agreement soon. The nature of the agreement is unclear. We will have to wait to see what the specific details are going to be, but as we have said on many occasions, any improvement on trade relations, multilateral cooperation on this front, making sure that there is some sort of a durable resolution of trade uncertainty, would all be very positive for global growth. Question – I want to know your outlook for Mexico now that we have a new President that has different ways to [manage] the economy. Thank you. Ms. Gopinath – With Mexico, we have revised down our growth for Mexico for both the 2019 to 2020, this is both relative to last October and last January. There is a combination of factors for this. One, monetary policy has been tighter than previously expected, and the second has to do with policy uncertainty around policies of the new government, which is weighing on investment. So this would continue to be a factor. Especially the policy uncertainty will continue to be an important factor going forward for the growth outlook for Mexico. I am going to hand it over to Gian Maria. Mr. Milesi-Ferretti – Yes, clearly Mexico has also been affected over the past couple of years by the trade tensions with the United States. Those have been mostly resolved, but the trade agreement is not ratified. That had resulted in exchange rate pressures, in turn leading to a tighter monetary policy, which is one of the factors that has been weighing on economic growth. But clearly uncertainty is an important factor, both, also on the domestic front, as Gita has just stressed. Question – You have some Brexit alternative scenarios in your WEO which talk about quite a significant deviation downwards from the baseline. How serious do you think the risks are from a no-deal Brexit, and what would the consequences of it be? Ms. Gopinath – The situation clearly is in flux, as we all know, on a daily basis, so it is hard to predict where all of this will end up. What we have seen is that we have seen the negative consequences of the uncertainty surrounding Brexit, which has weighed on investment in the UK and is one of the factors for our downward revision of growth for 2019 for the UK. Question – You have cut .6 percent your forecast for Latin America for this year. Both Brazil and Mexico forecasts have been revised down, and the situation in Venezuela just keeps getting worse. So what is your overall opinion on the region? Thank you. Ms. Gopinath – So the region as a whole, the last half of 2018 was weak, and a lot of that is carrying over into 2019, so we have revised our estimates down for Brazil and for Mexico. Of course, the reasons are different in both cases. In the case of Mexico, it is a combination of policy uncertainty and monetary policy tightening. In Brazil, it is tied to policy uncertainty and about the postponement of the reforms on the fiscal front. For Venezuela, of course, it is a great humanitarian crisis, social economic crisis, and we are seeing a very major contraction for Venezuela. Oya, if you would like to add something. Ms. Celasun – As Gita said, for Venezuela it is very hard to make predictions at this point. It is a humanitarian crisis, food crisis, medicine crisis. One worries that oil production is plummeting, and that has led to our downgrade for this country. Question – Can you talk a little bit more about your forecast for the US economy? How do you see the sugar high of the fiscal stimulus coming off? And then specifically on the Federal Reserve’s monetary policy, to what extent do you think their positioning is appropriate. A lot of people have been weighing in on that recently, including the President of the United States. Ms. Gopinath – So the US economy in our forecast will slow in 2019 and then slow somewhat more in 2020. This is to be expected as the effect of the fiscal stimulus fades, and so that is one of the important reasons for the decline. At the same time, the more accommodative monetary policy stance is helping with growth in 2020. Question – I am wondering, the trade wars, how is it going to affect Sub-Saharan Africa in 2019? Ms. Gopinath – For Sub-Saharan Africa, there is an impact that comes from trade wars, but there are also impacts of the trade war on global growth, which then spills over into oil crisis. For instance, for Nigeria, the important price that matters is what is happening to commodity prices; and if because of the trade tensions there is going to be a weakening in global growth, that can have a larger negative effect. Would you like to add something on Sub-Saharan Africa? Ms. Celasun – Absolutely. It is the commodity prices which are being weakened by somewhat weaker global activity and, directly, demand as well. Question – You mentioned many risks in the future. What are the main risks for the emerging markets, among them Egypt? Thank you. Mr. Milesi-Ferretti – Well, trade tensions are clearly one, particularly for the more open economies in the emerging world. It will be a direct effect. There is an indirect effect through market sentiment. We saw towards the beginning, towards the middle of last year, a swing in market sentiment away from emerging economies that has caused substantial outflows, particularly of short-term capital, from more vulnerable economies. Those are clearly very important risks. I think one should also highlight more generally the risk of geopolitical conflict and strife that unfortunately is still affecting a number of countries, particularly in the emerging world, and taking a very heavy toll, first of all, on a humanitarian basis but also in terms of aggregate growth. As Gita just mentioned, of course, for countries more reliant on commodities and, again, those are predominantly in the emerging world, weaker global growth and particularly weaker demand from China could be associated with lower commodity prices, which could put additional stress on current accounts, on public finances, of many emerging economies. This is just a few of the potential downside risks that we could see. Question – Ms. Gopinath, when you list the factors that have contributed to the significant weakening of the global economy and of trade, how would you apportion that? Is it primarily US-China trade and tariffs that have led to that deceleration? Ms. Gopinath – The US-China trade tension is a contributory factor, but there have been other factors. For instance, in China for much of 2018, the bigger factor was the tightening in credit that was needed because there needed to be greater regulation of the shadow banking sector. So for much of 2018, that was the driver for China. The trade conflict plays out only pretty much towards the end of 2018. The other important factors have been also country-specifics, so for Germany the decline had to do with the auto sector, with the new emission standards there. You had in Japan, you had a few disasters, natural disasters, and that weighed on growth, too. But the general sentiment and the concerns about the trade conflict have weighed on confidence, on business confidence, on consumer confidence, and that has affected more countries than just the two over here. So I think that is an important factor to keep in mind, especially in terms of, as I mentioned before, that there needs to be a durable solution to the trade tensions and to ensure that it does not escalate into other sectors. Question – Ms. Gopinath, could you give us a little sense about how important the social security is now in Brazil, because you mentioned that one of the reasons of the downgrade of the Brazilian projection from 2.5 to 2.1 this year is a kind of postponement of this fiscal reform. In your projections for Brazil, the present economy, 2019-2020, do you consider that the social security reform is going to be approved by the Congress this year? Ms. Gopinath – Firstly, it is very important to have the right level of social security for the most vulnerable population in any country. It, of course, has to be fiscally prudent, and in the case of Brazil, it is, indeed, the case that the debt levels are somewhat unsustainable, and so pension reforms would be required. That got postponed some into 2019. It is hard for us to tell the exact date or the time when the implementation will happen, so that is difficult for us to forecast at this point, but we are expecting some resolution in the next year or so. Ms. Celasun – That is right. We are expecting it to pass sometime in 2019, and what we have done is to shift growth somewhat from 2019 into 2020 on account of that. Question – You mentioned in the report that China may need to undertake fiscal stimulus to avoid a severe downturn that could derail its reform agenda. How much fiscal stimulus beyond that which is currently contemplated, or at least publicly known to be contemplated, do they need to do, and how critical is the risk of that severe downturn? Ms. Gopinath – In our forecast, we expect China to continue to slow. It is a gradual weakening of growth, but this is to be expected. It is a needed transition from a very high growth, investment-driven, credit boom-driven growth, towards one that is more sustainable and will involve a weakening in credit growth, deleveraging. All of those factors we expect will slow down growth. The Chinese government has put in a substantial amount of monetary and fiscal stimulus already. We are seeing some green shoots there in terms of recovery. If you look at the manufacturing PMI for China, the most recent numbers shows that there has been a recovery there. And so we are seeing positive signs already. What would be needed in a more severe crisis would, of course, depend upon what the nature of the issues are; but the exact numbers would be very hard for us to comment on at this point. Question – Could you give us an assessment for the Caribbean region, please, and given that most of our economies are tourism dependent. And if you could single out Barbados, who are currently in an IMF program, what is your outlook? Ms. Celasun – So for the Caribbean, we always have a diversity. We have more commodity-dependent economies than we have economies that are less commodity-dependent, more dependent on tourism. This latter group is doing somewhat better. Their prospects are typically tied to advanced economies, so there has been some softening, but generally growth is stronger. The commodity-dependent ones are still in the process of adjusting to the lower commodity prices, some of them oil prices. For Barbados, we have an IMF program, so the prospects are that activity strengthens somewhat with the buildup of confidence as the program is implemented. It is essential for that to happen to return to positive growth in 2020, that the targets are met and the reforms are steadily implemented. Question – In your report, you changed significantly your assumptions about Greece’s current account deficit. To be precise, now you believe that, according to your report, it will be five times larger than you projected seven months ago. So is this related with the wider environment in the eurozone and the pressures on the exports of the region or have to do with the legacies of the crisis that the country must tackle? Mr. Milesi-Ferretti – It is a combination of factors. I understand there were some data revisions which also contributed to drive up the current account. We have had a resumption of growth, which is a good thing, but it tends to increase demand for imports. But I think there are literally also statistical issues at play that had to do with data revisions. Mr. Anspach – Thank you. I am going to take a question online. The question is on the MENA region. 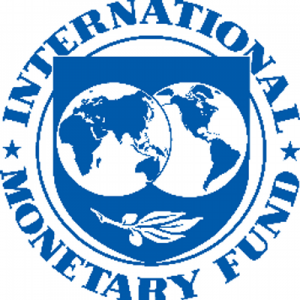 Did the IMF revise its growth forecast for the MENA region and the UAE in particular? Mr. Milesi-Ferretti – So if we compare what we were forecasting in October to what we are forecasting now, we see that particularly for 2019, there is a sizeable difference in the predictions for the oil price. In October, we still, we were expecting based on futures prices, oil prices to be about $70 a barrel. In 2019, they are over $10 lower now. That, of course, implies a downward revision for oil exporters in general. Now you have a bit two categories of oil exporters. You have some that are also suffering from a variety of other factors, including geopolitical tensions and strife. This is clearly not the case for the UAE, but we do have a downward revision which is driven, as I said, by the lower oil price. It is about 1 percentage point, a bit less than 1 percentage point down the revision for 2019, and a little bit less for 2020. So the forecast is for growth to be just below 3 percent for 2019, just about 3 percent in 2020. But, of course, again, oil price agreements to restrain oil production to support prices for 2019 and more generally, weakening of global demand, are the main factors at play. Question – To what extent do you think financial markets have priced in downside risks associated with climate change and also the kind of weakening of various other environmental systems, or are we facing what some people call a carbon bubble, and to what extent have you accounted for that in the WEO this year? Ms. Gopinath – Climate change is clearly an important risk. Medium term it seems to be moving up closer and as every month goes by. It is an important risk for low-income countries. In fact, it is one of the risks that we flag that requires addressing urgently. We have seen natural disasters around the world and those are playing out, which are weighing negatively on growth. So this is a very important factor going forward. Question – I am interested about Central Asia region. What kind of risks or challenges do you see in that region? Thank you. Mr. Milesi-Ferretti – It is a very differentiated picture in Central Asia, so you have economies like Kazakhstan or Azerbaijan, heavily dependent on oil prices, whose outlook, of course, is heavily affected by what happens to commodity prices. You have economies like Uzbekistan which have a different set of, different type of commodity dependence, more exports of cotton, for instance, but also pretty extensive opening up and reforms of the economy and the growth forecast that hovers around 5 percent so, again, a picture that is quite different across countries and very much dependent on what happens to the price of their main exports as well as to issues of domestic stability and internal, external strife, in some cases. Question – My question is on Brexit. There was a question before, but I think it is a near-term risk. Let me ask again. There is an analysis on Box 1 and the scenario A and B, moderate scenario and more severe scenario. I do not see the severe case scenario. Can you just explain how much negative impact you would expect? And second question, if I may. Again, I would like to ask your opinion about Modern Monetary Theory, MMT. Thank you very much. Ms. Gopinath – So on the analysis that we did for Brexit, we looked at two possible no-deal scenarios. The difference across the two had to do with whether in the short term there would be disruptions at the border and how severe any financial disruptions would be. So the scenario B, which is a worse scenario, is one where we do have border disruptions in the short term, and we have more financial stress showing up in higher credit spreads. To your question on Modern Monetary Theory, we will start by saying that we believe there is a very important role for fiscal policy in macro stabilization for redistribution, for equity considerations, so fiscal policy is a very important part of the toolkit for policymakers. Now, that said, there is no free lunch. There are limits to how much countries can spend. Using money financing to finance fiscal deficits has been tried in the past in many developed countries and in developing countries, and the experience suggests that that usually ends up with uncontrolled inflation, with a collapse in investment, with a collapse in growth. I think it is very important — while fiscal policy is a powerful tool, I think it is very important to be careful about the financing that is used for it. And it is history that has taught us the value of central bank independence to maintain stable economies, and we think that is an important lesson to keep in mind. Question – Thank you. A bit of a two-part question if I may, the first on monetary policy, the second on fiscal. On the monetary policy side, I think we came into this year expecting to see a quantitative tightening or a resumption of normalization from central banks. As you talked about in your remarks, that has not been seen; and, in fact, we have seen more easing from central banks. And I wonder if in your outlooks, looking forward in terms of 2021 and further than that, how do you factor in the potential strain from the extension of this unorthodox monetary policy that we are seeing continue? The second question on the fiscal side is, we have seen democracies find it harder and harder to pass regulations, to pass things like stimulus. We have also seen an increase in leaders like Lopez Obrador, like Erdogan in Turkey, a couple others, Bolsonaro in Brazil, like you have mentioned. How do those things factor into both your short-term and long-term outlooks? Ms. Gopinath – So on your question on monetary policy, it is, indeed, the case that there has been a pivot with the Fed with a pause in the expectation of a rate rise in 2019, and so that is an important event that we believe has taken off some of the downside risks that were building up towards the end of 2018, and so the pause, which was data dependent, was welcome. It is, indeed, the case that we have to look forward and see how this plays out. That would again depend upon the data that is coming in. If we do have the recovery that we are projecting by 2020, that could change the policy stance. This policy certainly has led to resumption of capital flows to emerging markets, so there has been a positive impact there. There has been some resumption, not a tremendous resumption, but some resumption. But, again, I think it is important to keep in mind we still live in an environment with high levels of public and private sector debt, so there are financial vulnerabilities that are still there and still building up, which is why our advice is to use macroprudential tools at this stage to make sure that these stay contained. Fiscal policy is a very important part of the assumptions that we make going forward for both the short term and the long term, and it varies across countries. It is country-specific. Some have the space; some do not. Policies vary, but it is a very important part of when we try to make our projections about what is going to happen to growth both in the short term and in the medium term answer. Question – My question is on Turkey. There are a lot of information around that in the summer, Turkey is going to knock on the door of the IMF. Can you tell us what is your prediction and if the IMF has the money to save Turkey, the Turkish economy? Ms. Gopinath – We have no reason to think that Turkey is even contemplating coming to the IMF, so that is where we are at this point. The Turkish economy is certainly under stress. They have used monetary policy tightening to contain the effects on inflation and on the exchange rate. We have certainly seen an improvement in their trade balance, so net exports have grown, and this has been mainly driven by a compression in imports and less so by exports in Turkey, so we are seeing some adjustments; but our forecast for Turkey is that this year there would be negative growth, but then we are expecting a recovery in 2020. And, in fact, this recovery is an important part of the element that goes towards the whole global recovery. Mr. Anspach – With that, I would like to thank you very much for being here. Thank you to the speakers. Tomorrow we have two press conferences, the Global Financial Stability Report and the Fiscal Monitor, so see you tomorrow. Thank you so much.